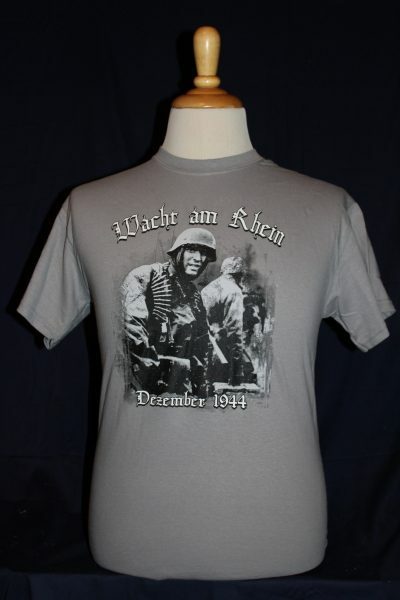 The Wacht am Rhein German Battle Of The Bulge T-Shirt is a two sided print in charcoal grey. 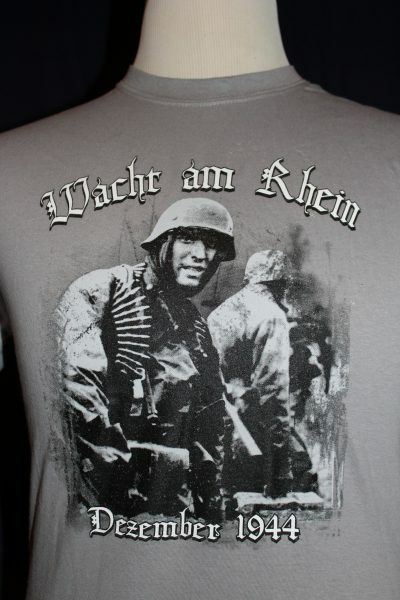 Front Design: Image of the famous German Soldier in action during Operation Wacht am Rhein (Watch on the Rhine) on the front. 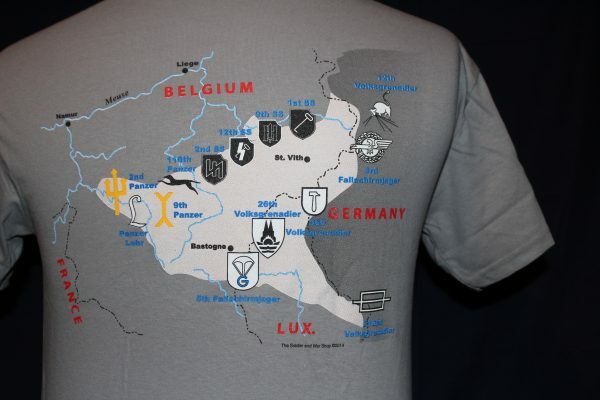 Back Design: Full color map of the battle area with major division insignia displayed.